Being the capital of Uttarakhand, and a gateway to enchanting hill stations, the sprawling city of Dehradun attracts a large number of tourists every year. Hence, to cater to the needs of these tourists, the city of Dehradun is adorned with luxurious hotels, and restaurants. From North Indian to Garhwali, Chinese, Continental, Thai, and lots more, these restaurants in Dehradun serve all kinds of cuisines to satisfy every palate. 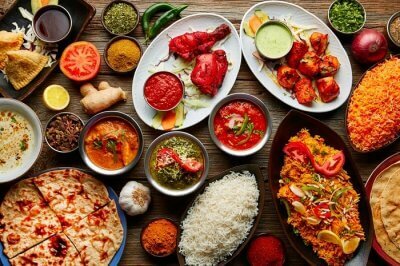 Here’s a list of best restaurants in Dehradun which one must visit, to savor the taste of the pahadi touch. A venture by Lite Bite Foods Pvt. 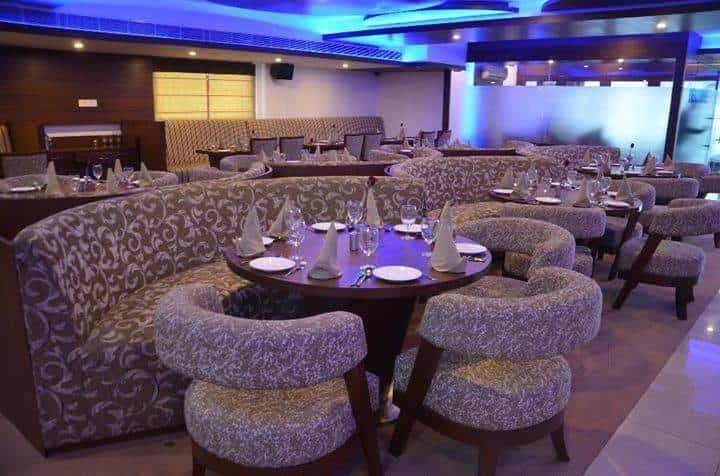 Ltd., Punjab Grill restaurant & bar in Dehradun, Uttarakhand is one of the good restaurants in Dehradun which is ranked amongst the topmost elite restaurants in the hospitality industry. It is one of the top 10 restaurants in Dehradun which is known for serving top quality Mughlai, and North Indian cuisine with an aim to plate the authentic flavors of North-west frontier foods for its customers. It is one of the best best pure veg restaurants in Dehradun. Located on the famous Rajpur road, Mussoorie Lights is one of the finest restaurants in Dehradun for an exquisite rooftop dining experience. 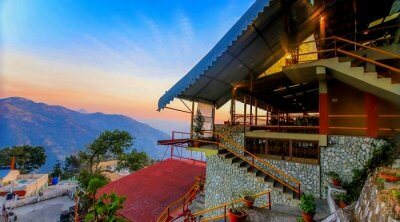 This restaurant is not only known for its lip-smacking food, but also for its exotic drinks menu, and an opulent ambiance, and serene location, and enthralling views of the surrounding mountains of Uttarakhand. No doubt, it is one of the top open air restaurants in Dehradun. Featuring a casual dining setup, Y Cafe And Restaurant is one of the best restaurants in Dehradun for hanging out with your best friends. 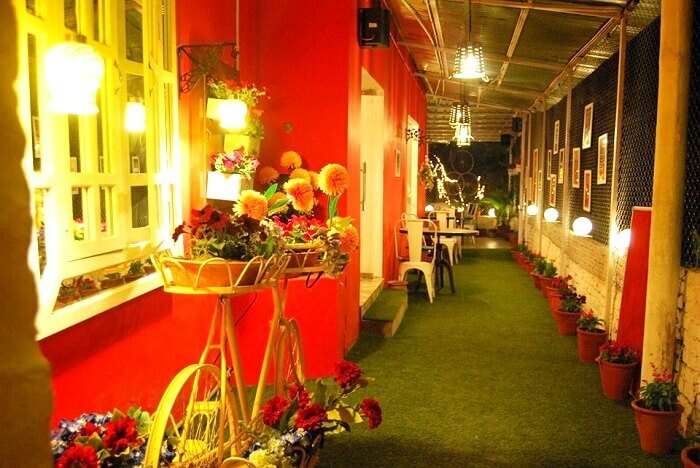 This cafe is famous for its live music sessions, elegant ambiance, and limited but delectable variety of food. It is also a good place to spend time in solitude where one can peacefully read a novel from their book collection while sipping a mug of coffee, and enjoying some light snacks. So, if you’re looking for a live music restaurant in Dehradun, this is the place to be. Looking for restaurants in Rajpur road Dehradun? 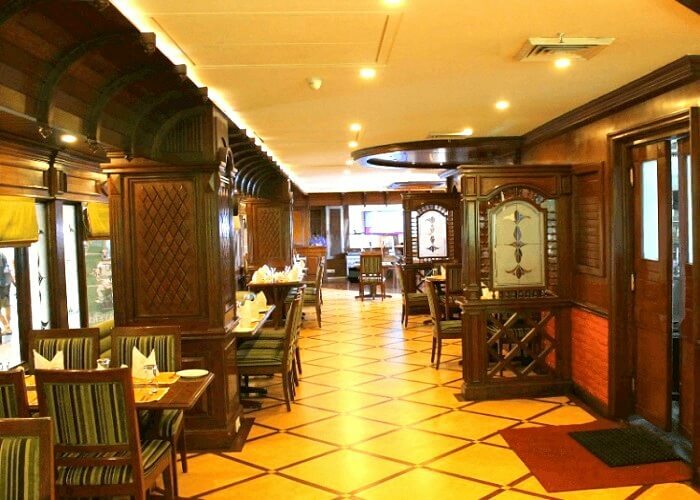 Step into the most famous family restaurant Dehradun, the Punjab Restaurant. Known for fine dining feel, and family style ambiance, this popular restaurant serves the best North Indian food in town with different variations in the dishes without giving up on its authentic flavors. 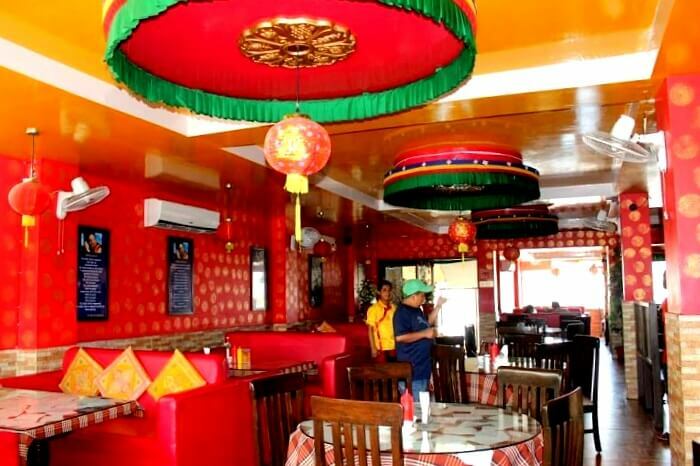 It is one of the best chinese restaurant in Dehradun. Mastering the authentic Indian cuisine, Black Pepper restaurant in Dehradun is one of the top-rated restaurants in the city. 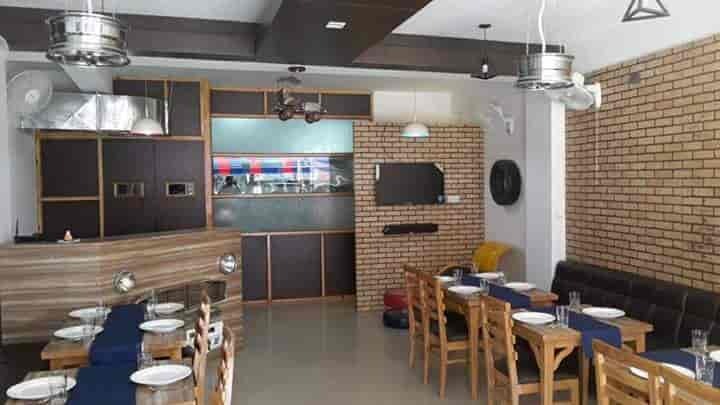 Any list of restaurants in Dehradun will be incomplete without including Black Pepper not only because of its food but also because of the exemplary ambiance, extensive sitting, and an extremely professional staff. Feel like eating vegetarian food in Dehradun? Head to Town Table, one of the best vegetarian restaurants in Dehradun. Even though this restaurant is not amongst the top pure veg restaurants in Dehradun, it is still known for its wide, and delicious variety of vegetarian dishes. 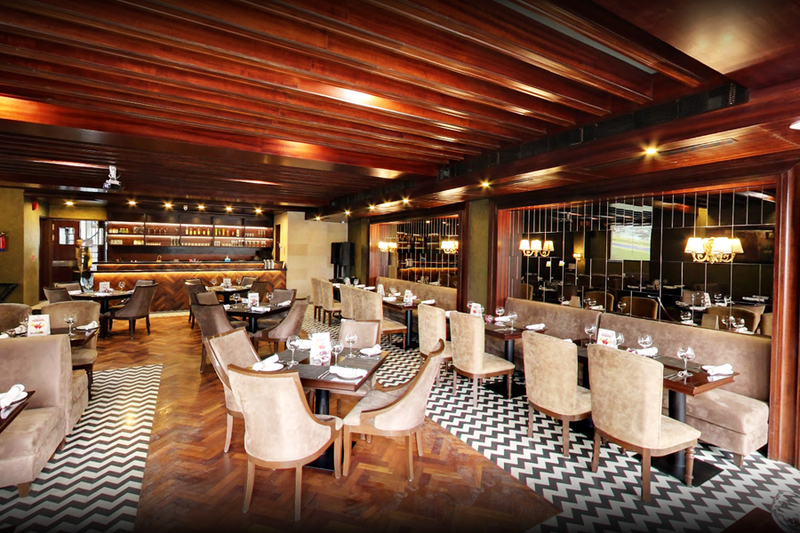 Also, its exquisite ambiance makes it an ideal place for dining with friends as well as family. Suggested Read: Enjoy The New Dehradun Nepal Bus Service If You Love Scenic Road Journeys! 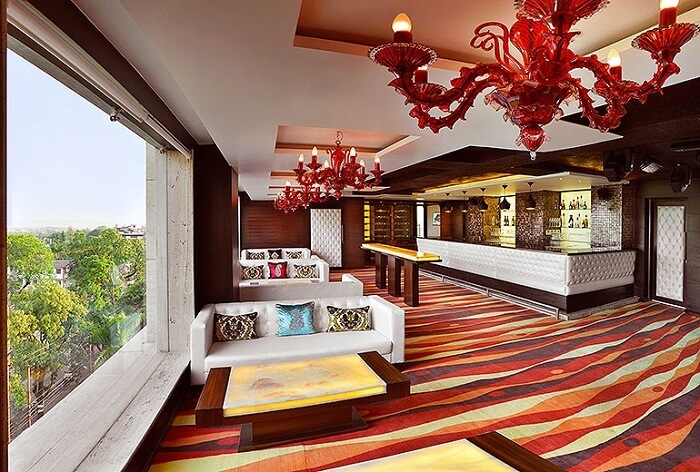 Featuring Buddhist style interiors, Kalsang Friends Corner is designed to give you a perfect Tibetan feel. 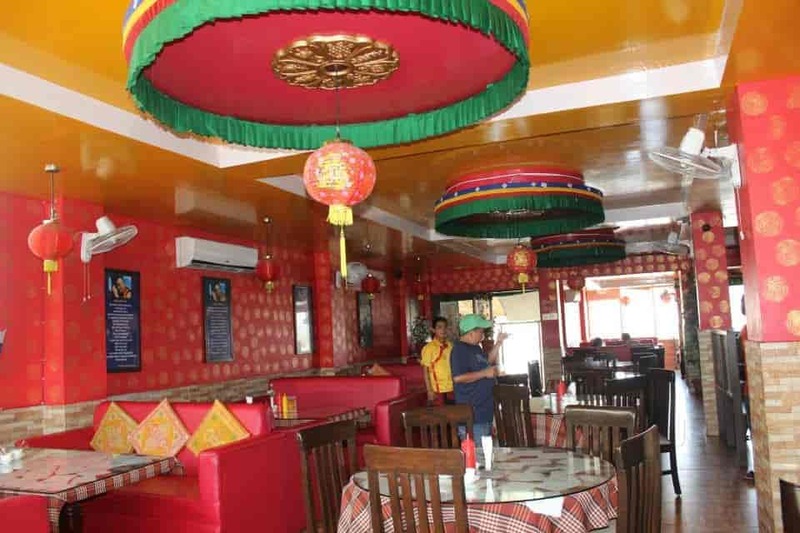 If you are looking for good non veg restaurants in Dehradun that serve toothsome Tibetan, and Chinese food, then Kalsang would be your best pick. Its elaborate menu features numerous Tibetan, and Chinese dishes which are prepared with different variations. Located inside Hotel Inderlok, Muse is a fine dining restaurant known for its art of gourmet. The innovative kitchen of this elegant restaurant is run by extremely professional chefs who work to deliver the best quality food on the customer’s table. 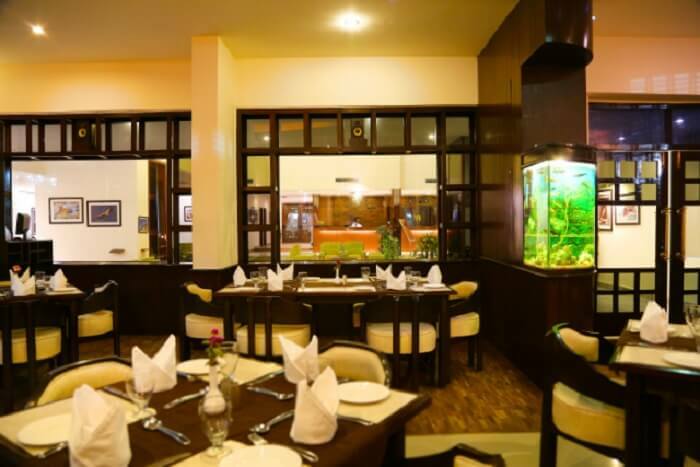 Also, the sophisticated ambiance of the restaurant complements its family-style theme, making it one of the most famous restaurants in Dehradun. 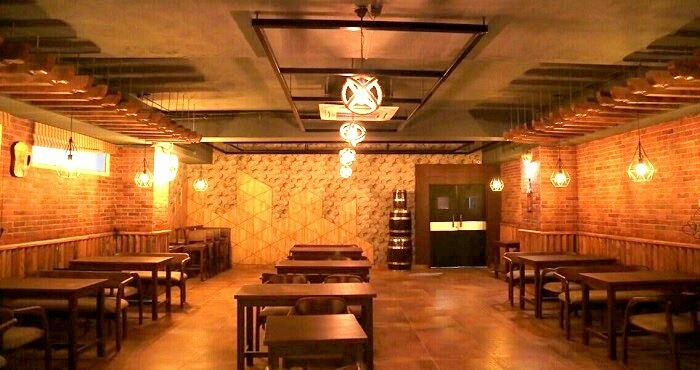 Nestled amidst a tranquil environment of the surrounding hills, Unplugged is a casual dining restaurant located near the famous attraction of Dehradun, the Sahastradhara. 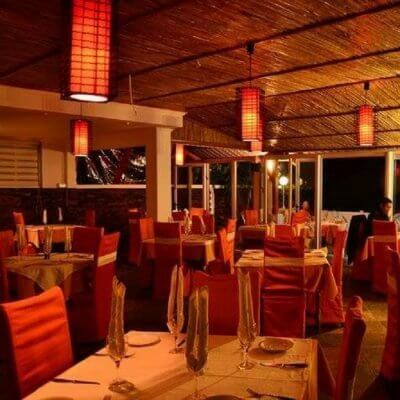 Offering both outdoor, and indoor sitting, and a small pool, it is one of the best restaurants for couples in Dehradun where they can enjoy flavourful food in a quaint environment, and an intimate ambiance. Be My Guest is one of the top restaurants in Dehradun if you are looking for decent places to eat with your loved ones. Set up amidst lush green surroundings, BMG offers a tranquil environment where you can spend quality time with your friends and family while savoring palatable North Indian, and Chinese food. The Garage Dine-in is one of the most popular restaurants in Dehradun, known for its unique way of preparing even the most basic Indian dishes. With an extremely decent, and cozy ambiance, and close proximity to the city center, this restaurant is the best place to savor the real taste of fusion food. The Tavern is a restaurant and bar located on the property of Brentwood Hotels & Resorts. Overlooking The Mall road, it is is one of the most extravagant restaurants in Dehradun that features an extensive bar, live music, a rustic ambiance, and of course delicious food. This restro bar is a perfect blend of fine and casual dining. With a rustic looking ambiance, and an elegant seating, Flavours is one of the best restaurants in Dehradun for a fine dining experience. Savour a wide range of dishes in a tranquil countryside setting, amidst the greenery of the Doon plains, accompanied by fine wines, and exotic drinks. Suggested Read: Make One Of These Long Weekend Getaways From Delhi Your First Vacation This Republic Day! 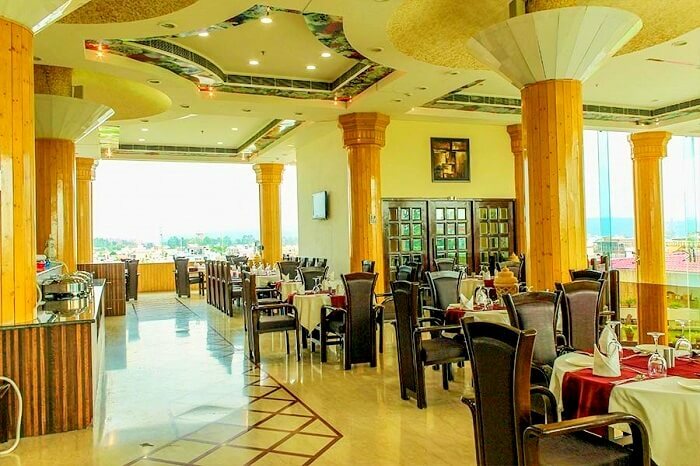 Located inside Hotel President, Pavilion is one of the oldest restaurants in Dehradun. 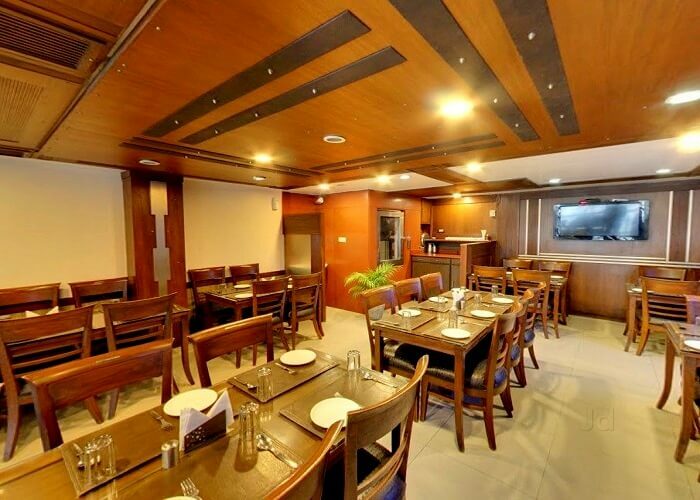 This restaurant has maintained its reputation of serving the best North Indian food in town, and plating unmatched flavors of Continental, and Chinese cuisines as well. Apart from the good food, this restaurant is also known for its courteous staff who work hard to provide excellent service. 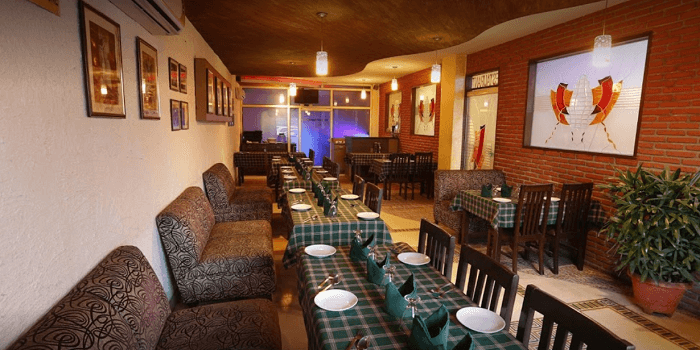 Looking for family restaurants in Dehradun? Then book a table at Prez restaurant to enjoy an unforgettable dining experience with your loved ones. With an extensive food menu featuring North Indian, and Continental dishes, and a soothing ambiance, the prez is one of the top restaurants in Dehradun where you would love to go again and again. A part of the luxurious IDA Hotel in Dehradun, Mirabilia is one of the most romantic South Indian restaurants in Dehradun. 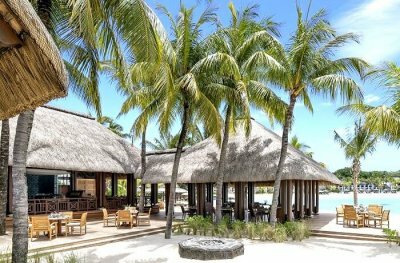 Set alongside a pool, this open-air restaurant is designed exquisitely to provide a luxury dining experience. The intimate open-air setting renders this restaurant as one of the top places to go out on a dinner date with your partner where the ambiance will compliment your mood and the food will satisfy your palate. Suggested Read: Long Weekend Calendar 2018: See Where To Head This Year And When! 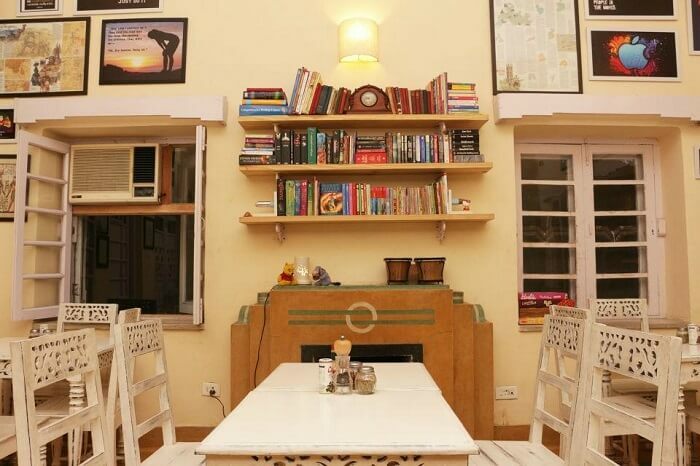 Pacific Blue is a popular restro lounge located on the Rajpur Road. It features a dark ambiance lit with blue LEDs throughout. 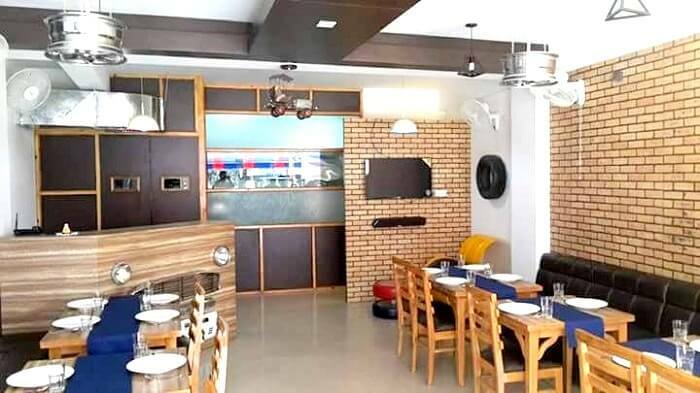 It is one of the best budget-friendly restaurants in Dehradun which serves mouth-watering North Indian, and Chinese cuisines, in a lavish environment like nowhere else. 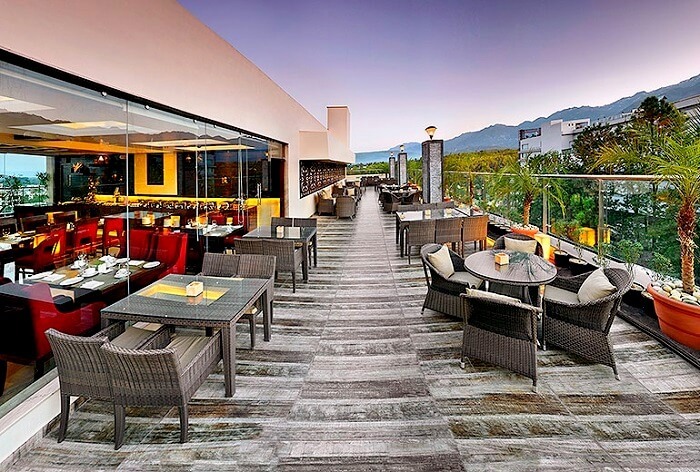 Boasting of an opulent outdoor sitting, The Terrace is one of the finest buffet restaurants in Dehradun. It’s open-air setting, and extensive buffet along with top-notch service, combine together to deliver an unforgettable experience of rooftop dining. The buffet menu features a number of cuisines like North Indian, Chinese, and Italian, to satisfy every palate. Relish a tranquil, and relaxing environment as you dine out at one of the most luxurious restaurants in Dehradun, the Emerald Court. 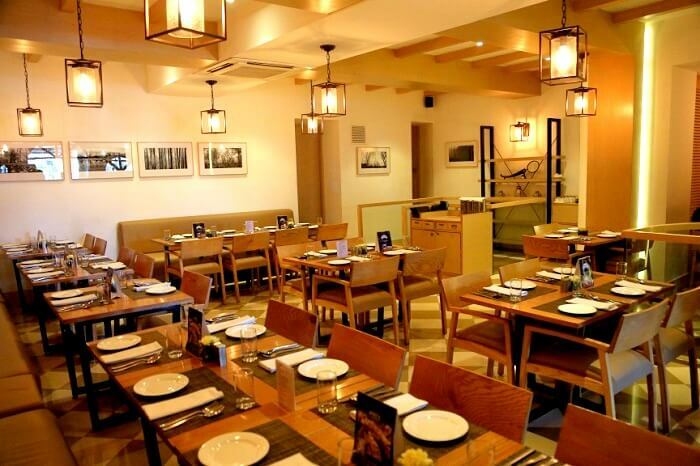 This restaurant is a part of the dining arena of the Solitaire group of hotels. With an utterly professional team of chefs, this restaurant provides one of a kind dining experience, and serves one of the best Mughlai, and Continental dishes in the whole town. Suggested Read: 10 Best Places To Visit Near Mussoorie For An Unending Affair With Nature! 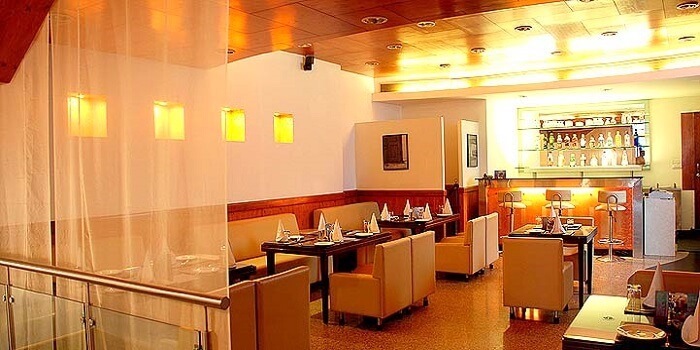 Onyx is a fine dining restaurant located inside the Four Points Hotel Sheraton, Dehradun. It is one of the best restaurants in Dehradun where the courteous staff works to deliver perfection, and satisfaction to the customer. 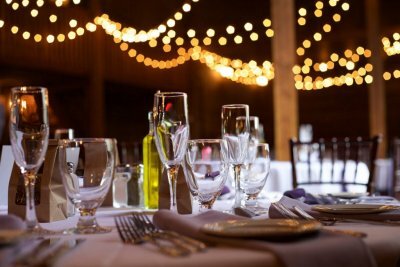 Apart from the service, the food served is of superior taste and quality which is complemented by a variety of alcoholic drinks, and cocktails. Further Read: 12 Hill Stations Near Dehradun For Your Wanderlust In 2019! Drooling over such tempting cuisines? 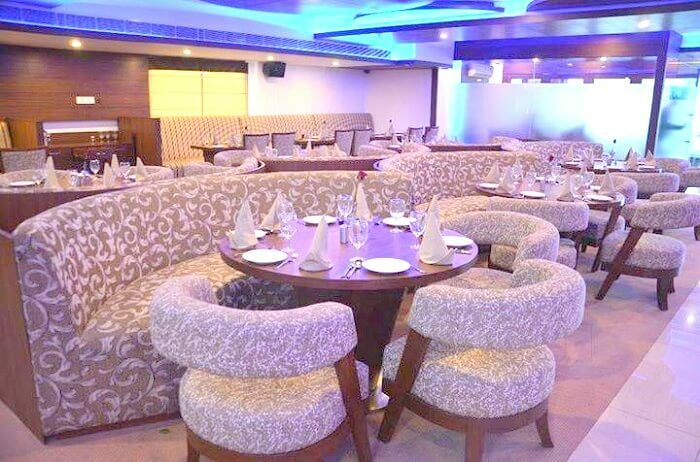 Then plan an exciting holiday to Uttarakhand with TravelTriangle not only to explore the mesmerizing hill stations of the Devbhoomi but also to relish the taste of Garhwali cuisine at these top restaurants in Dehradun. Q. 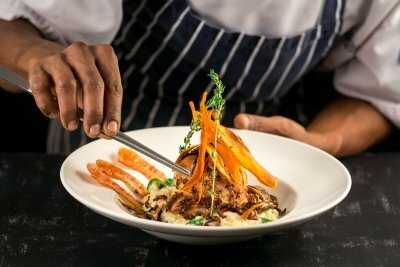 Which are the best restaurants on Rajpur Road? A. 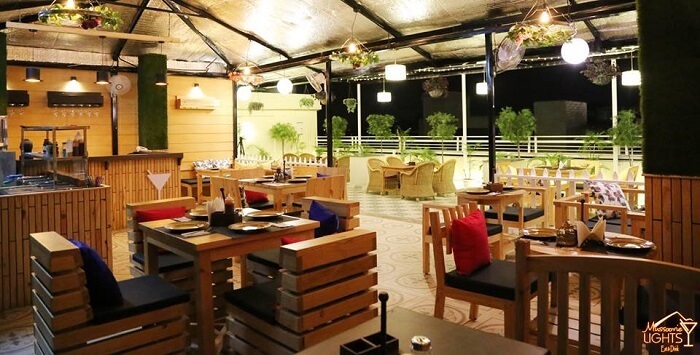 Black Pepper Restaurant, Punjab Restaurant, Punjab Grill Restaurant & Bar, Town Table, and Y Cafe & Restaurants are some of the best restaurants on Rajpur Road. Another not-so-known one on the list is the Naths Chinese, which is a 24 hour restaurant in Dehradun. Q. 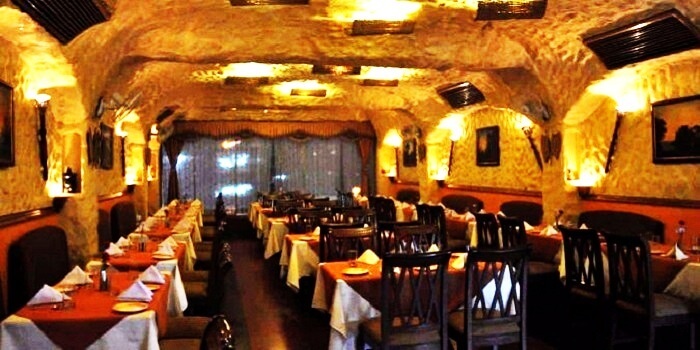 Which are the best romantic restaurants in Dehradun? A. Town Table, Y Cafe & Restaurant, BMG- All Day Dining, and Mirabilia Restaurant and Bar are some of the best romantic restaurants in Dehradun. Q. Which are the best authentic dishes of Dehradun? A. Gahat ki Dal, Pahari Aloo, Kumaoni Raita, Bal Mithai, Kulath Phanu, and Singodi are some of the best authentic dishes of Dehradun.